B. Thomas (Arlington, Texas, United States) on 3 July 2018 in Animal & Insect. Can your baby come play with me? 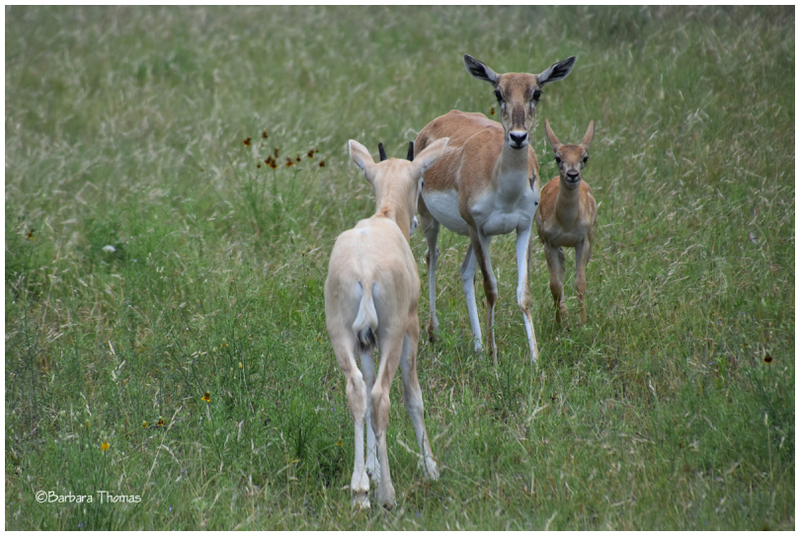 A baby Scimitar oryx approaches a mother and baby blackbuck antelope. I think he wanted to be friends. They are such gentle animals. A sweet image. Nice image of friendship !!! May be they will start playing together !! What an adorable moment . .
Nice heart warming shot !! It's interesting how these animals size each other up. I too thiink he wants to play. Nice shot. This is just too cute! I hope that they become friends! Happy ST!